Manatunga: 'The treasures left behind in this realm' is the latest exhibition from the Sir George Grey Special Collections. The exhibition runs from 12 June to 20 October 2013 at the Central City Library, Level 2, 44 Lorne Street. This bilingual exhibition features rare manuscripts, early published materials, photographs, maps, drawings, newspapers and other objects, many of which have never been on public display before -- this is an excellent opportunity to view a selection of treasures from within the collection. Curator Robert Eruera encourages people to access the collections, 'as in doing so, they pay tribute to and acknowledge the motive and intent of those past and present who have contributed to the building of these collections for future generations to enjoy'. If you are unable to come in to the Auckland Central City Library, there is a spectacular online exhibition showcasing taonga Māori from Tā Hori Kerei-Ngā Kohinga Taonga Whakahirahira to enjoy. 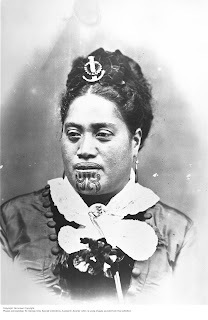 To view more stunning photographs check out the recently published book Negative kept: Maori and the carte de visite by Michael Graham-Stewart in association with John Gow as well as an introductory essay by Keith Giles of Sir George Grey Special Collections. Pou Arahi Taonga – Māori Heritage Librarian Robert Eruera who curated the Manatunga exhibition appeared on Māori Television’s Native Affairs programme last night. Episode 10 of Library Chat is now available. 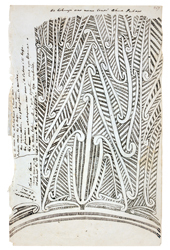 Robert Eruera, is the Senior Librarian Pou Arahi Taonga at Auckland Libraries and the lead curator of the Manatunga exhibition which runs at Auckland Libraries until Oct 20th. We talk about why the Manatunga exhibition is so significant. 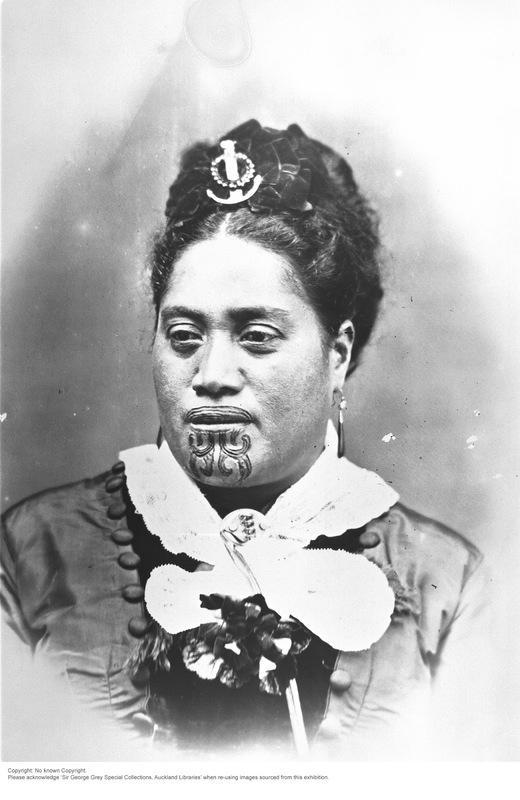 Also, we chat about the role of Pou Arahi Taonga and the significance of positions such as Robert's in librarianship. Lastly we talk about the concept of guardianship and the future of roles like Robert's and ensuring there are many more people ready to step into this type of work.